Each state is governed by various different laws and it is important to be aware of all of the different landlord and tenant laws that govern your particular state. This is especially true if you move from state to state and are heavily familiar with your previous state’s landlord laws. It can become very easy to get caught up in different legal disputes by not knowing what the different laws hold or expect of you as either a tenant or a landlord. This article is meant to serve as a sort of guideline for the Idaho landlord tenant laws and is in no way meant to be equivalent to settle lawful disputes. It is only supposed to be informational and the reader is required to do their own research in regards to their curiosity about Idaho landlord tenant laws. Stay up to date on Idaho Landlord Tenant Laws + Save money on tenant screening and other property management needs. Join AAOA today, it’s FREE! Cosho Humphrey, LLP, is a Boise law firm established in 1971 with a reputation of integrity, quality service, and client satisfaction. Our Idaho attorneys bring a wealth of experience and expertise to all facets of complex litigation. Our practice areas are many and range from family law to estate planning to employment and landlord/tenant law. You can find more information about each area of law by clicking on the specific practice areas to the right. Contact David M. Penny, Attorney, COSHO HUMPHREY, LLP at 208-344-7811. Determining the best place to move is one of the most important decisions in you and your family’s life. There are a lot of things that tenant’s should keep in mind as well as some a few tips to consider before they even decide to rent. These can ensure that the tenant is at a rental unit that they love and that the landlord is getting a responsible tenant. Weigh all the pros and cons of the neighborhood that is being moved into. The tenant should ensure that it is the perfect fit for their family. The tenant should educate themselves on all fess and charges that are associated with the rental, as well as their payment and monetary expectations prior to signing a lease. Tenants are responsible for their own research of the landlords in the area before signing a lease. They can check the reputation of their landlord at the Idaho State Judiciary. The rented space should not be altered without the permission of the landlord. Renters should keep in mind that renter’s insurance should be considered. Many landlord insurances do not cover certain possessions like pets or cars, and sometimes don’t cover different natural disasters. It is the tenant’s responsibility to figure out if this may be something they need. Tenants are responsible for figuring out their plans for parking fees ahead of time and ensure that they have the appropriate stickering and justification for parking. Some landlords require the tenants to be in charge of their own utilities and this should be discussed up front. This must be determined before signing the lease. Tenants are absolutely required to pay their rent on time as per the lease. The tenant should maintain the property, keep it clean, safe and upkeep it in a way that keeps it remaining livable for tenants later down the road. Idaho does not regulate the fees, rental amounts or deposits that a landlord can charge the tenant. Landlords are not allowed to discriminate for any reason; however they can set their own policies concerning certain factors. Landlord’s can regulate things such as smoking and pets in the name of proper business etiquette as long as they are not demonstrating discriminatory behavior or favoritism. Landlords are completely able to reject a person for a lease if they have trouble paying rent or for any other background check reason that could pertain to safety. Rental amounts should be agreed upon beforehand, but they are not regulated and should be determined as the landlord sees fit. Fees (such as parking or late fees) are also determined by the landlord. Landlords must never interfere with a tenant’s “covenant of quiet enjoyment”. This can include anything that causes stress such as coming to the rental unit unannounced and without consent. Managing other things that may prove to be potentially harmful. If a tenant suffers injuries due to the landlord’s negligence, the tenant may file suit against the landlord. Leases are oral or written with the written being the most common and binding. Both parties must jointly agree on the rental terms before a lease is official. This can include an official signing. To avoid disputes opt for a written agreement between the landlord and tenant. Contact information for both the tenant and landlord: This includes addresses, phone numbers, emergency contacts or maintenance personnel. Information about the property: The address of the property and it’s purpose for being used. Dates of tenancy if signing a yearly lease. Set rent amounts that are agreed upon by the tenant and landlord. Security deposit information if it is available or applicable. Information regarding utilities and repairs as well as who is responsible for all of them and to what degree. All restrictions that are placed upon the lease should also be clearly stated. This can include policies on pets, parking, remodeling, and things of that nature. Information regarding termination policies must also be included so that the tenant is not left in the dark if this ever happens to be an issue. Laws of entrance and whether the landlord will be allowed to enter the premises unannounced. End every written lease with a date and signatures. Make copies for your own files to ensure no future discrepancies. Landlords may also present “addendums” or additions to the lease in another form, but they must be presented at the time of the lease signing in order to be considered valid. Some landlords in Idaho require a cosigner similarly to that of a loan. In most cases the cosigner is to prevent fraudulent activity from occurring and the person of interest must pass a credit check. At the time of move-in landlords must provide a detailed list of everything that is wrong with the rental unit. The best way for a tenant to take note of the condition of the home is to take detailed pictures or videos before moving in at all to note the overall condition of the unit. This can prevent the tenant from having to pay out of pocket or essentially lose their security deposit for damages that they did not commit. The Idaho Housing and Finance Association has implemented a program for the elderly and families with low income that help them obtain affordable rent. To qualify for this voucher a tenant has to go on a waitlist and meet a certain grade of eligibility. The Federal Fair Housing Act discusses the importance and illegality of discriminating against anyone for any reason in regards to renting out a unit. Advertising based on a preference for a specific type of people group. Having highly restrictive standards for only certain tenants. Not accommodating the disabled tenants. Terminating the lease for a reason of race, gender, nationality, children, marital status, sexual orientation etc. If a tenant feels they are being discriminated against they can file a complaint with the United States Department of Housing and Urban Development. “Security deposit” is a fancy term for a down deposit that is paid at the time of a lease signing. The amount can vary and they tend to be used for extra things such as unpaid rent, damages, and repairs to the living space, cleaning up and touch-up costs of fixing up the rental after a tenant has moved out. Security deposits are often returned at the end of the tenancy as long as certain rules are maintained and followed. The tenant must have paid their rent. They must have also not damaged the rental unit in any way aside from normal wear and tear. A tenant can terminate their lease or a landlord can evict the tenant for any reason at any time. There are different rules depending on the circumstance. In the case of a tenant’s carelessness or damaging property, the landlord can evict them by following a specific procedure. They must offer the eviction in writing. They must adhere to a minimal 3-day warning. Tenants can’t be evicted for requesting repairs. Tenants do not have to give reasoning for eviction. Only Sheriffs can physically evict a tenant. The notice must be in writing to be valid. A three day notice is required for circumstances such as failure to pay rent, unlawful conduct on the premises of the rental unit, or a blatant violation of the lease agreements and terms. A thirty day notice may be an option if the tenant has a long-term lease already signed. Unlawful activity will expedite the process and make the eviction go a lot smoother. This is also the case when others may be in potential danger. Refuse to give the tenant a chance to pay off the rent, even if it is only a small one. Force the tenant to move by changing the locks or turning off utilities. Any of these things can result in the tenant suing the landlord. A key component of landlord tenant laws is also Idaho Tenant Screening Background Checks. We’ve dedicated an entire page to it because of its importance. Visit Idaho Tenant Screening Background Checks to screen your tenant. All states require a variety of forms to rent an apartment to a tenant and Idaho is no exception. Check out American Apartment Owners Association’s Idaho Landlord Forms now. 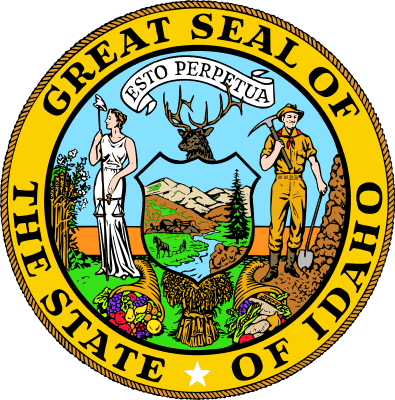 Looking for landlord tenant laws outside of Idaho? The American Apartment Owners Association offers helpful landlord tenant laws for all 50 states. Click on any of the states listed below and go directly to its landlord tenant law page. To visit the homepage of landlord tenant laws, click here.